We have listed some of our more popular arrangements and bouquets by name to help with your shopping needs. 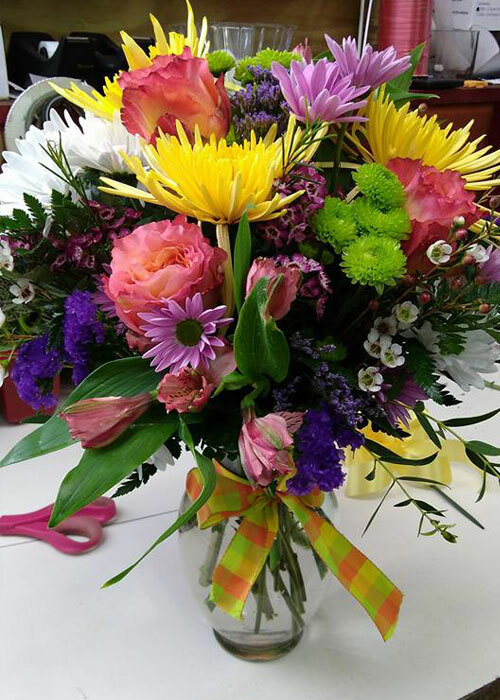 Simply call in at 252-745-3443 and let us know the name of the arrangement you prefer. A lovely arrangement in a mason jar to bring in that country fresh feeling of love into your life. $35 and up. A colorful mix of spring flowers to bring cheer and show your special someone how she shines like a rainbow. $50 and up. A gorgeous mix of flowers for the Garden Lovers. $45 and up. A basket filled with the fragrances of kindness and tenderness just like your special someone’s loving heart. $35 and up. 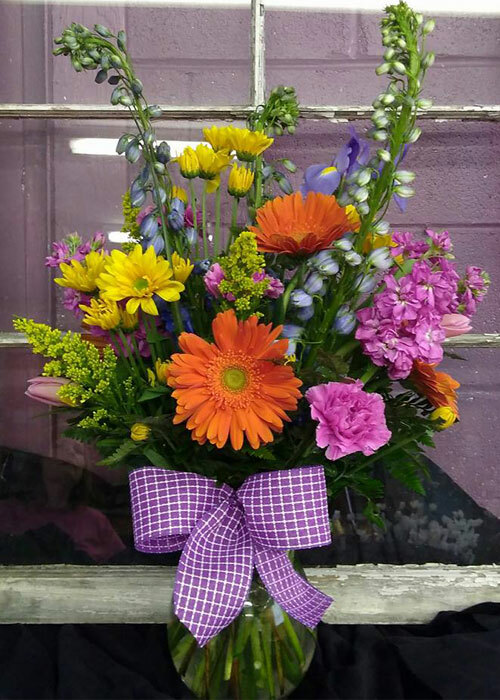 If your special someone is the sun that rises and sets in your life, this arrangement reflects the beauty of a springtime sunrise and is sure to please her. $60 and up. A mix of wonderful flowers in a topiary tree arrangement to show off how much your special someone encourages you to reach for the stars. $35 and up. A terrific arrangement of mixed spring flowers to express that you love your special someone with all your heart and more than words can say. $60 and up. This mason jar full of garden springtime flowers will bring lots of joy and happiness to your special someone who are thought of as angels themselves. $40 and up. A gorgeous arrangement with roses to show your special someone that your love and appreciation for her is always in full bloom. $60 and up. A playful collection of darling flowers and polka dots arranged to show off the playful side of your special someone that you treasure beyond compare. $30 and up. This arrangement spreads the sunshine you feel your special someone brings to your life with all her caring words, support and love. $40 and up. An elegant arrangement full of pedals that are soft and luxurious like your special someone’s grace. $75 and up. Such a sweet and simply thoughtful arrangement in a small jar that will brighten anybody’s day. $25 and up. 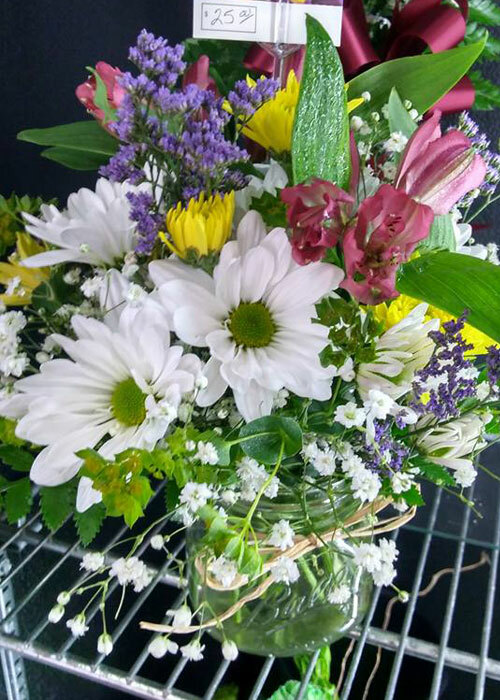 This bouquet features colorful fresh spring flowers in a vase. $35 and up. 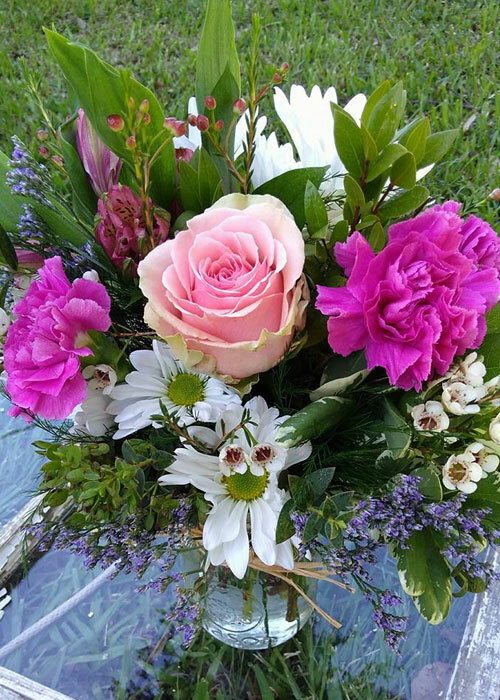 We are confident that if you do not see a bouquet that you prefer in the above listings that we can custom design an arrangement just for your special someone. Please give us a call and we will be more than happy to discuss your preferences.